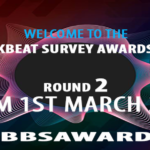 We welcome you to the 2nd Round – THE NOMINEES – BBSurvey, awarding and honoring the best of Breaks. ROUND TWO OPENING – VOTE NOW! Round 2 voting is now open until February 10th. Votes in this round will determine the winners for 2017 BBSA!